The school year has started again. For some, this means friends and fun times, for others, it spells disaster...If you are being bullied, don't suffer alone because you are not alone. Confide in your parent(s), Guardian or Teacher(s).If you don't have anyone to turn to, e-mail me (email@youarenotalonedirectory.co.uk ) with your name, age, date of birth, school and contact number and I will make sure you are supported. Please have a look at the section on this website for young people as well as the agencies below. For any parents that are concerned, please have a look at the organisations below as they may be able to help you and your child. Telephone helpline providing support for parents and produce free parents guides on issues relating to bullying. 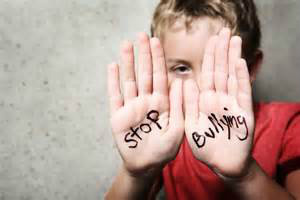 Also run one day courses for children who have been severely bullied. Self esteem project improving self esteem of girls and young women includes information on friends and relationships, teasing and bullying, growing up and body image, improving self esteem.